Dr. David Schram is from Sibley, Iowa where he graduated from high school in 1984. He earned his B.S. in Biology from Northwestern College in Orange City, Iowa in 1988. In 1992, he graduated from the University of Minnesota School of Dentistry before completing a one year residency in Advanced General Dentistry at the University of Minnesota. Dr. Schram and his wife, Nancy, have been residents of Bemidji since 1993, when Dr. Schram joined Bemidji Dental Clinic. They have two adult children. 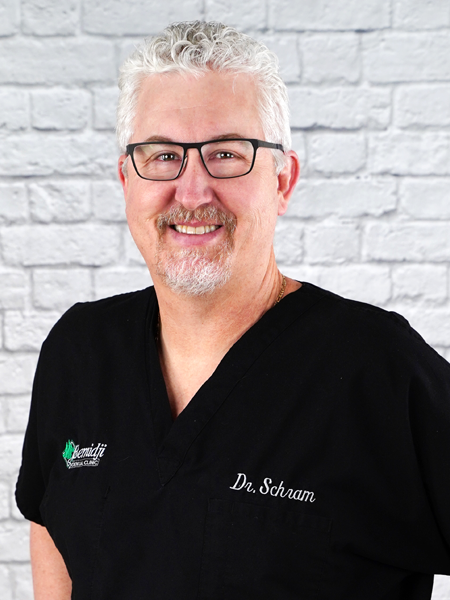 In his spare time, Dr. Schram enjoys both water fowl and deer hunting, fishing, motorcycling, spending time with family and friends, and has become an education “junkie”— continuously learning through advanced education classes, podcasts, and literature. The technological advances in the dental field and how that improves patient care is very exciting to Dr. Schram. 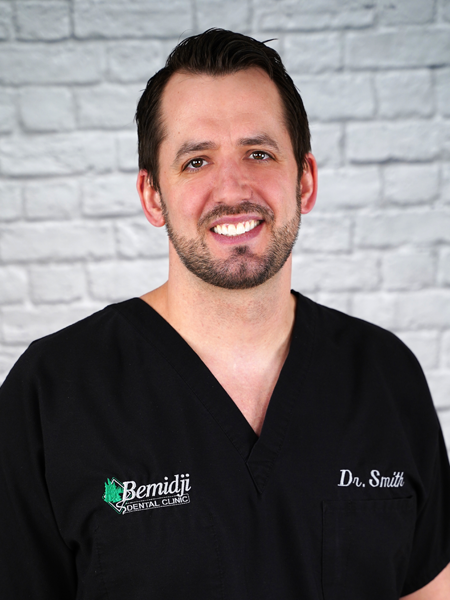 Dr. Blake Smith grew up in Little Falls, Minnesota, and graduated from Bemidji State University in 2007. Dr. Smith worked as a food chemist making imitation crab meat for one year in Motley, Minnesota and as a Quality Supervisor in a Plasma Clinic in St. Paul for another year. He graduated from the University of Minnesota School of Dentistry in 2013, and then joined Bemidji Dental Clinic. He and his wife Stacy, a Physician’s Assistant with the Sanford Health System, were thrilled to have an opportunity to come back to the place they love! Dr. Smith spends his free time hanging out with family and friends, hunting and fishing around Cass Lake, and enjoying the many biking paths around the area. Dr. Smith is excited about what new technology brings to patient care. He enjoys all areas of dentistry, but especially loves working with young families.